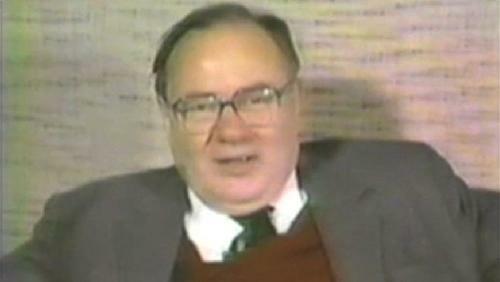 Larson Collection interview with John V. Atanasoff, computer pioneer. 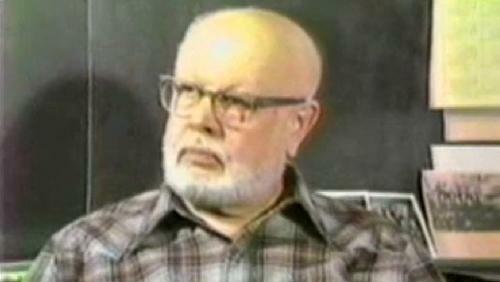 John Vincent Atanasoff was born in the town of Hamilton, New York on October 4, 1903. After John's birth, the Atanasoff family moved a number of times as Ivan Atanasoff sought better employment in several different electrical engineering positions. They eventually settled in Brewster, Florida, where John completed grade school. The Atanasoff home in Brewster was the first house the family had lived in that was equipped with electricity. By age nine, John had taught himself how to repair faulty electric wiring and light fixtures on their back-porch. It was recognized early that John Atanasoff had both a passion and talent for mathematics. His youthful interest in baseball was quickly forgotten once his father showed him the logarithmic slide rule he had bought for facilitating engineering calculations. The slide rule completely captivated the nine-year-old boy, who spent hours studying the instructions and delighting in the fact that this mathematical tool consistently resulted in correct solutions to problems. Young John's obsession with the slide rule soon led to a series of discoveries on the logarithmic principles underlying slide rule operation and, subsequently, to a study of trigonometric functions. It was not long before the gifted youth had achieved substantial progress in his math studies. At this time John's mother introduced him to counting systems and number bases other than base ten, including an introduction to the binary system which would prove important in his later work. John Atanasoff completed his high school course in two years, with excellence in both science and mathematics. He had decided to become a theoretical physicist, and with that goal in mind, entered the University of Florida in Gainesville in 1921. Because the university curriculum did not offer degrees in physics, John began his undergraduate studies in the electrical engineering program. The knowledge of electronics and higher math that John acquired as an electrical engineering student would later prove fortuitous in helping to transform the theory of the computer into a working reality. John Atanasoff graduated from the University of Florida in Gainesville in 1925, with a Bachelor of Science degree in electrical engineering. 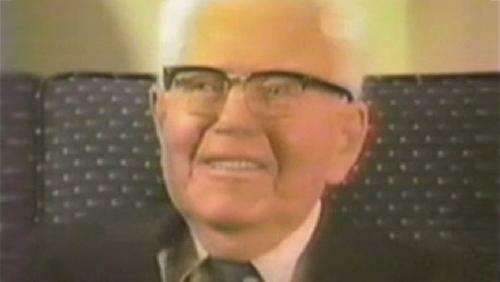 He received his Master's degree in mathematics from the Iowa State College in Ames, Iowa in 1926. After completing his graduate studies, Atanasoff accepted a position teaching physics and mathematics at Iowa State College. He was then accepted into the doctoral program at the University of Wisconsin, and received his doctoral degree (Ph. D.) in theoretical physics from Wisconsin in 1930. In his doctoral thesis, "The Dielectric Constant of Helium", Atanasoff was required to do many complicated and time consuming computations. Although he utilized the Monroe mechanical calculator, one of the best machines of the time, to assist in his tedious computations, the shortcomings of this machine were painfully obvious and motivated him to think about the possibility of developing a more sophisticated calculating machine. After receiving his Ph. D. in theoretical physics in July 1930, John returned to the staff of Iowa State College and began his work on developing a better and faster computing machine. In 1940, Atanasoff proposed an electronic device that could solve systems of linear equations by executing a sequence of operations that followed the familiar principle of Gaussian elimination. Assisted by his graduate student, Clifford E. Berry, he built a modest but nearly-functional prototype that he demonstrated by 1941. It lacked general-purpose programmability, but it was arguably the first machine built in the United States to compute at electronic speeds. With the U.S. entry into the war, he had to abandon the project before it could be made fully operational. There are several contenders for the title of "first computer," and advocates for each of them have often fought among each other, in meetings, in journals, and even in the courtroom, for what they feel is the rightful place for that particular machine in history. The Atanasoff machine has perhaps been the subject of the most controversy, primarily because among those who visited him in Ames, Iowa in June 1941 was John Mauchly---creator of the ENIAC machine which is often given primacy in the popular press. 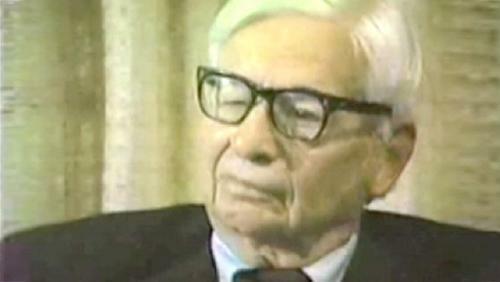 In any event, Atanasoff's contribution to the history of computing is not disputed, and he received many honors. In 1970 he was invited to Bulgaria by the Bulgarian Academy of Sciences, and the Bulgarian Government conferred to him the Cyrille and Methodius Order of Merit First Class. This was his first public recognition, and it was awarded to him well before similar honors were conferred to him in the United States. The credit for this timely recognition of Atanasoff's achievement should be given to the Bulgarian academicians, Blaghovest Sendov, Ph.D. and Kyrille Boyannov, Ph.D., among others. 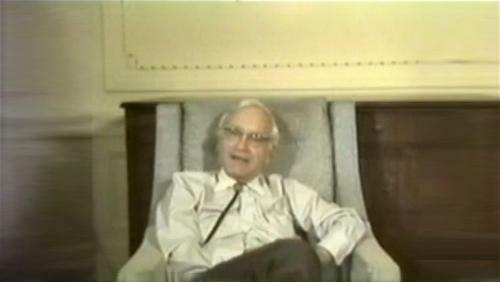 In 1972, the Smithsonian Insitution conducted an oral history interview with Atanasoff, naming him acomputer pioneer. Then, in 1990, his machine was named an IEEE Milestone in Electrical Engineering and Computing. In that same year, he was awarded one of the highest technical recognitions in the world, the U. S. National Medal of Science and Technology. 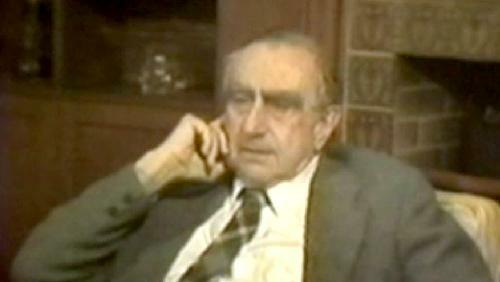 John Atanasoff died in 1995.